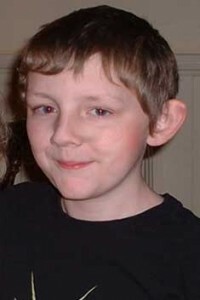 Lewis (13) from Shrewsbury, started our treatment programme in 2004. He had speech and co-ordination problems and was struggling at school. As he grew older, these problems had become a particular worry for his parents as he approached important exams. He couldn’t seem to revise properly and his low educational achievement was resulting in low self-esteem. Incredibly, after just a short time on BIRDs treatment programme, Lewis has moved up a set in maths at school and came top of the class in a recent science exam something that would have been simply inconceivable just a short time ago. His speech has improved markedly and his balance and co-ordination are almost at normal levels. Despite this, Lewis’ handwriting has not improved and the family continue to work on this. There are areas where the family have struggled with Lewis treatment maintaining the enthusiasm of a teenager is always difficult but mum, Elise, says that for all the hard work the benefits it brings are well worth it. Perhaps most importantly of all is the fact that Lewis is now a happier and far more confident youngster.